A team at TARRC led by Dr Marina Fernando, Head of the Industrial Support Unit, has successfully developed a “Halogen Free, Low Smoke, Low Toxic” rubber compound based on natural rubber. The rubber compound has been certified by a third party laboratory to be compliant as regards smoke density and toxicity with the requirements of BS EN 45545-2:2013, Railway applications-Fire Protection on railway vehicles part 2, Requirements for fire behavior of materials and components, for the most stringent category, hazard level 3(HL3). 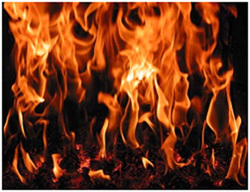 The developed compound offers the industry a natural alternative to the current use synthetic elastomers for meeting material flammability requirements and thus contributes to the sustainability of the industry.